I’ve always had a soft spot for New Orleans. Vibrant. Musical. Spiritual. I went once, many years ago, before Hurricane Katrina came tearing through the gulf ten years ago today. I’ve been trying to find the right time to go, and the right people who love this place to go with. Friends who can show me the Treme and the Bywater area – and the true New Orleans – away from the frat house party zone I was lured to back then. I know I will be back. Somehow. It’s in my bones. Words have always failed me. I can’t define this disaster because the horrors and human compassion so abundant, was also hideously scarce. I’ve been through 9-11, was stuck in a #1 Train while the planes hit the towers, saw the horror from the corner of Sixth Avenue and 18th Street, but the lack of concern by the government for NOLA’s poor and the weak infrastructure of the levies was something I’d never seen before. Back then, my heart ached for those lost in the flood, the dead in streets, homes submerged, and neighborhoods swept away. We prayed. We donated. We sent love to those honorable people knowing they will rebuild, stronger than ever. I’ve tried to blog about it, and came up with prose and lyrical versions of a disaster from a distance. Rendered useless, I’ve always failed to express the profundity of this day ten years ago. The best words found for this anniversary are in a letter by Steve Gleason, former player for the New Orleans Saints who was diagnosed with ALS in 2011. Sadly, there is no cure for ALS. There is no rebuilding or recovery. Not yet. A cure is still in the works, and you can head over to www.alsa.org to donate to get ourselves closer to that elusive cure. Yet, in the face of death, Steve lives life fully, intensely- like the good people of New Orleans. Steve’s letter to New Orleans celebrates this city better than this Yankee could ever do. Please watch him read this inspirational, bracing letter in the video below. 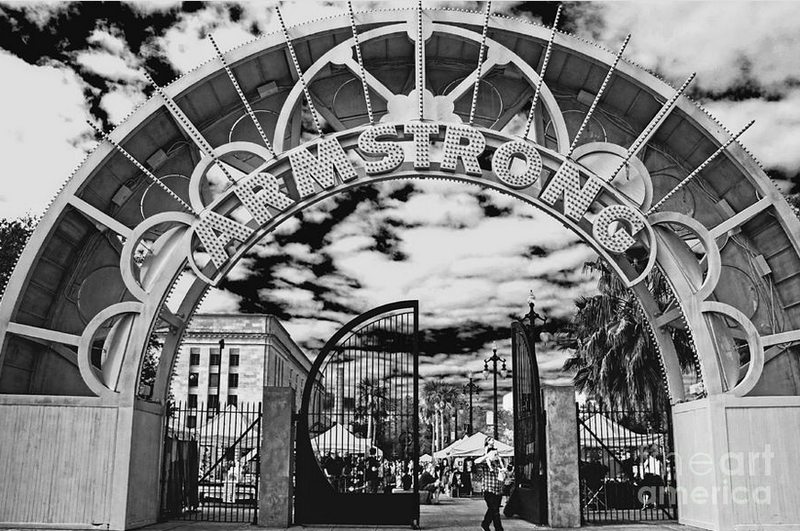 The letter will be displayed in Armstrong Park. Check out http://lightdat.org to find out more. Categories: Uncategorized | Tags: Hurricane Katrina, New Orleans, New Orleans Saints, SteveGleason, TeamGleason, WhoDatNation | Permalink.